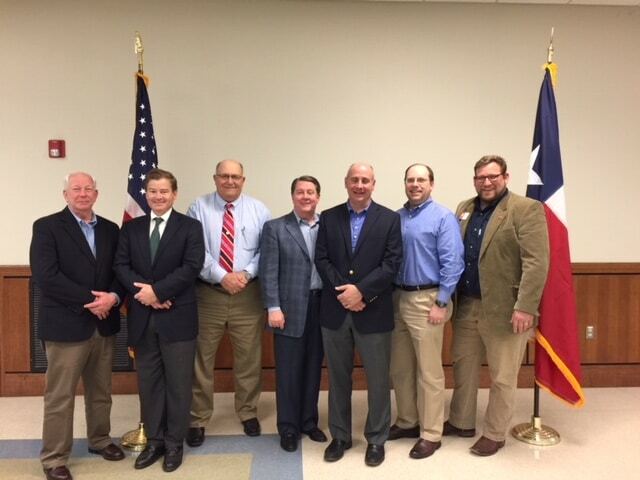 The Nacogdoches County Republican Party welcomed State Board of Education (SBOE) Member, Keven Ellis, District 9 as guest speaker at their monthly meeting. Dr. Ellis is a Republican from Lufkin who represents 31 Northeast Texas counties. His term runs from January 1, 2017 until January 1, 2021. Dr. Ellis is a practicing Chiropractor in Lufkin. In addition, Dr. Ellis is a member of SBOE’s Committee on School Initiatives’. Dr. Ellis stated that Texas is the largest educational trust in the United States spending one billion dollars on textbooks per year. Dr. Ellis is also Vice-Chairman of the Texas School Finance Commission. The Nacogdoches County Republican Party meets on the fourth Tuesday of the month at 6 pm at the Courthouse Annex.